Our first Moments winner Rachel Hart enjoyed a memorable day at London Stadium as Saracens overturned an 11-point deficit to beat rivals Harlequins 27-20. Watch our winner's experience here! Moments, by Rewards4Rugby, was officially launched in March, and is a new area which is dedicated to providing members with the chance to enjoy even more unforgettable experiences. 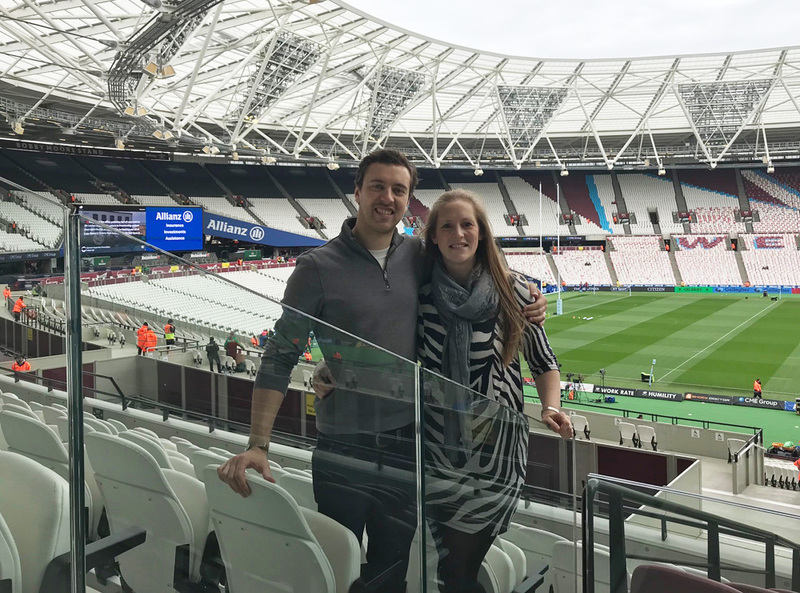 The first prize was a luxurious hospitality package at London Stadium which included a complimentary bar, a three-course lunch and a pre-match Q&A with a couple of Saracens first-team players. On the pitch, it was a precious victory which saw Sarries take a big step towards securing a home Gallagher Premiership play-off semi-final. Tries from Marcus Smith and Danny Care gave Harlequins a 17-6 lead at half-time but Saracens were a different side after the interval as Will Skelton scored two tries while Schalk Burger also crossed in a fantastic fightback. “I have had the best day, we had some excellent hospitality food, I’ve met Maro Itoje and Sarries won! “There is no better day for me, my husband and I had such an awesome time. We have some other fantastic prizes up for grabs, simply click the link below for details of how to enter our competitions!